State legislatures across the U.S. are wrapping up their work for the season. But lawmakers in Illinois are working to get a bill in under the wire that would allow folks to expunge prior misdemeanor cannabis convictions from their records. Illinois decriminalized cannabis possession up to 10 grams in 2016, and the law went into effect on July 29. The bill lawmakers are proposing would make all convictions and guilty pleas that are at least three years old eligible for expungement. While not as progressive as expungement efforts in other states, Illinois hopes their approach will restore employment opportunities to those most impacted by the over-criminalization of cannabis. Illinois HB 2367 got its start in 2017 as an attempt to amend the Criminal Identification Act. Lawmakers introduced the bill to allow for the sealing of criminal records of convictions for non-violent offenses 10 years after a person serves their sentence. But it was on the eve of 4/20 of this year that lawmakers added Amendment 7 to the bill. Amendment 7 came out of the work of the Illinois General Assembly’s Restorative Justice Committee. 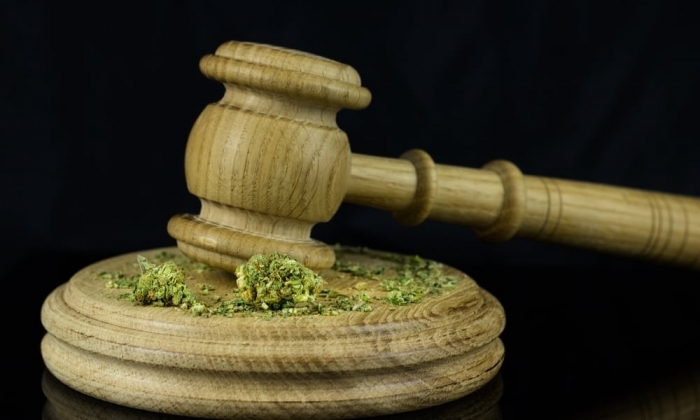 The amendment paves the way for anyone with a conviction or guilty plea for cannabis on their record to petition a circuit court judge for expungement. The conditions for expungement, however, are a little stricter than those in other states pursuing similar measures. While the bill allows for expungements of any cannabis offenses prior to July 29, 2016, it requires petitioners to wait three years after they complete their sentence. In other words, anyone who pleaded guilty to possessing a gram of marijuana on July 28, 2016, has to wait until 2019 to petition a judge for expungement. The three-year requirement, therefore, creates a small gap in the date range that will force some petitioners to wait. Rep. Ford says the expungement amendment is about making sure “everyone in Illinois is employable.” And that starts, Ford says, with giving people with minor marijuana offenses the chance to tell prospective employers they have a clean record. Marijuana convictions can bar people from more than just employment. Criminal records jeopardize housing, access to loans and federal benefits, childcare and even immigration status. Furthermore, an ACLU report from 2013 highlighted the billions of dollars wasted on racially biased arrests. According to the report, black residents of Illinois are more than seven times as likely than whites to face arrest for marijuana possession. HB 2367 won’t redress the historic and lasting harms of such disproportionate enforcement. But it is “just the first step in ensuring that this ‘war on drugs’ that we’ve been fighting that has disproportionately affected black and brown people in the city of Chicago, is fair,” Ford said. So far, the bill has received broad support. Only the Illinois Sheriff’s Association, a non-profit organization, has come out in opposition to the expungement efforts. HB 2367 will have to move quickly if it’s to make it out of Assembly by year’s end. The bill still needs Senate approval to make it to Republican Gov. Rauner’s desk by January. If it doesn’t, the bill will have to begin again in the 101st General Assembly.